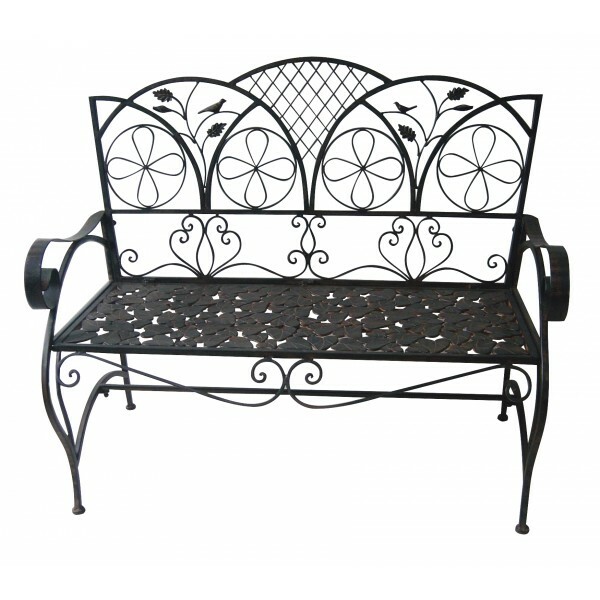 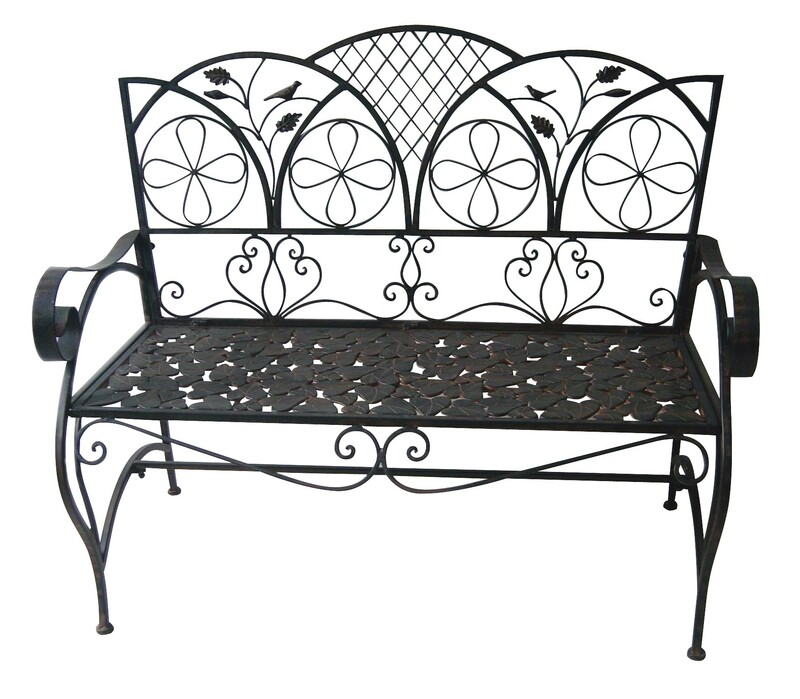 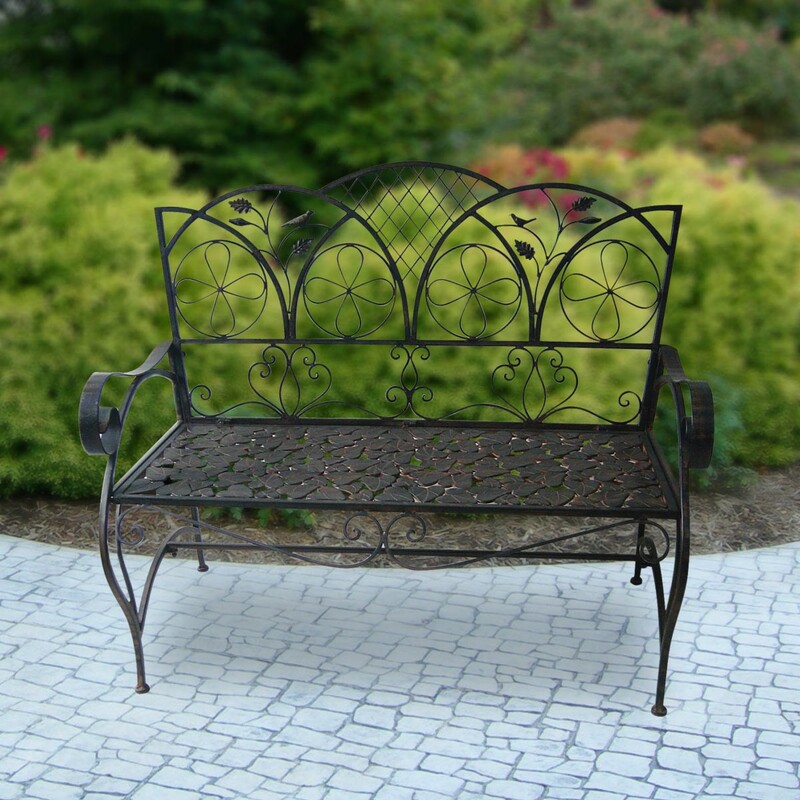 Let your guests sit on a piece of furniture as beautiful as your garden with this iron bench. 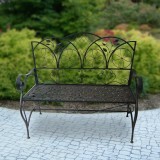 Charming birds on leafy branches make up the design of this seat along with playful lines and curves. 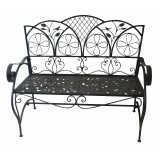 Made of sturdy iron allowing this bench to last in any weather.